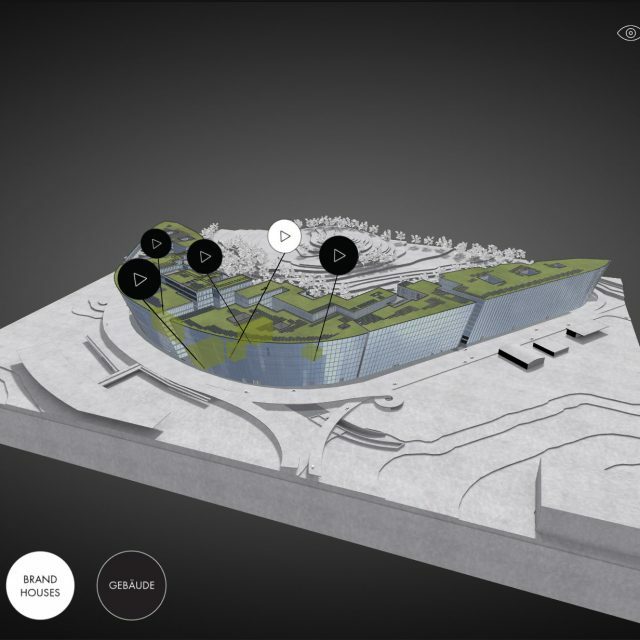 We were contracted to develop part of this interactive sales application, which revolves around promoting and informing about a new mall and office building, which is currently being built at the airport in Zurich, Switzerland. 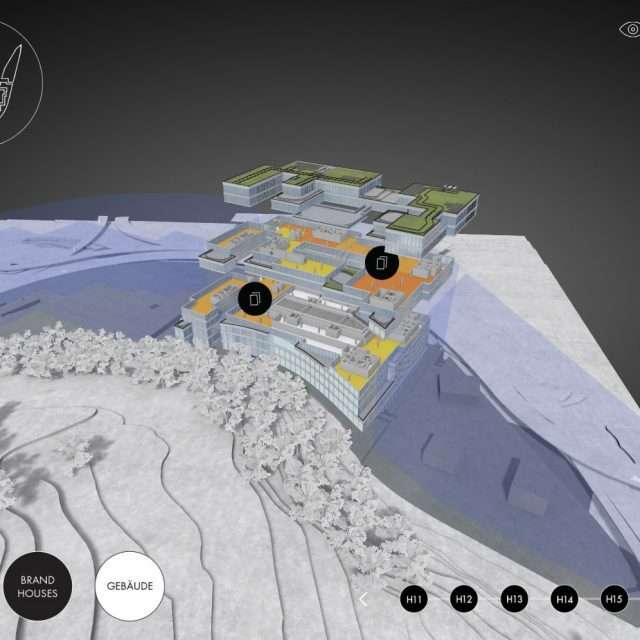 The application consists of a 2D part, as well as our part, an interactive 3D visualization. 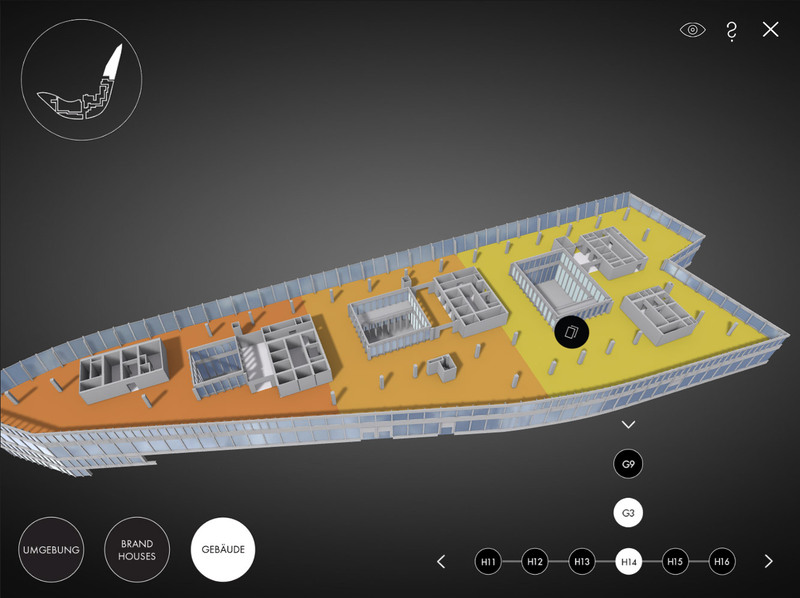 The 2D part features a live webcam feed of the construction site, informational pages showcasing key features of The Circle, as well as floor plans, all supported by a configurable menu which allows for comfortable presentations. 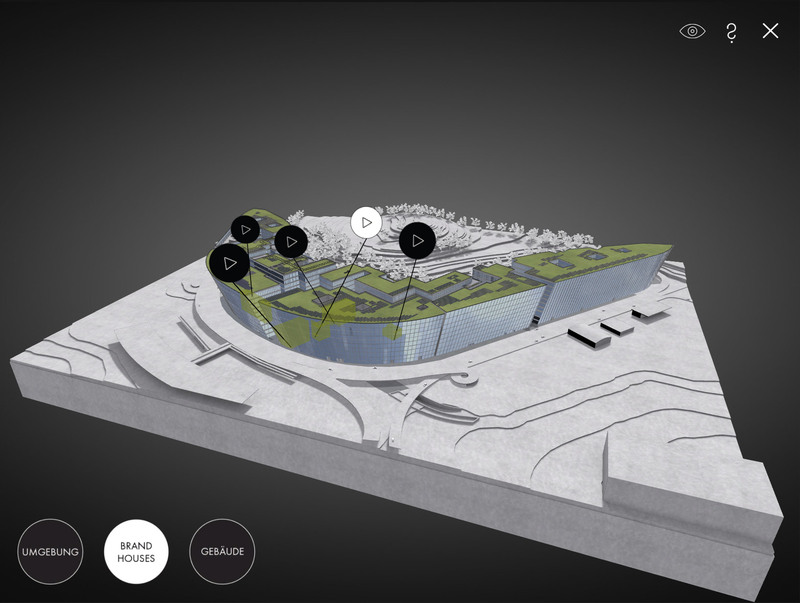 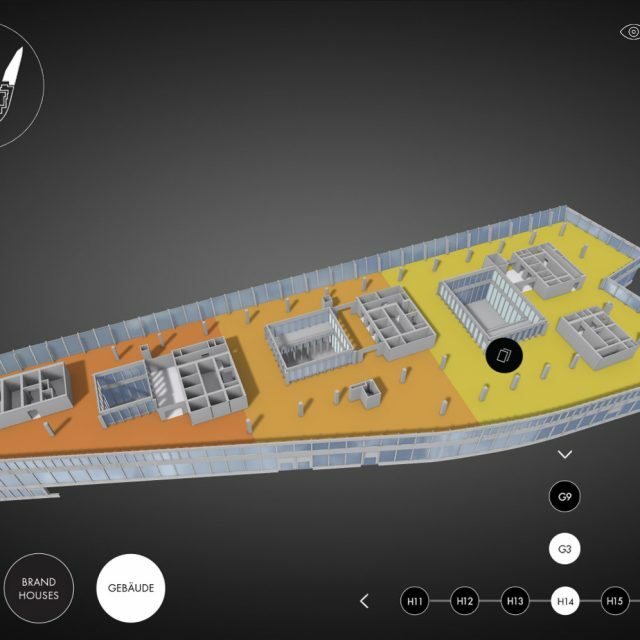 The 3D part features a fully real time interactive visualization of the building, where each block can be viewed individually, as well as split into 3 different floor pieces. 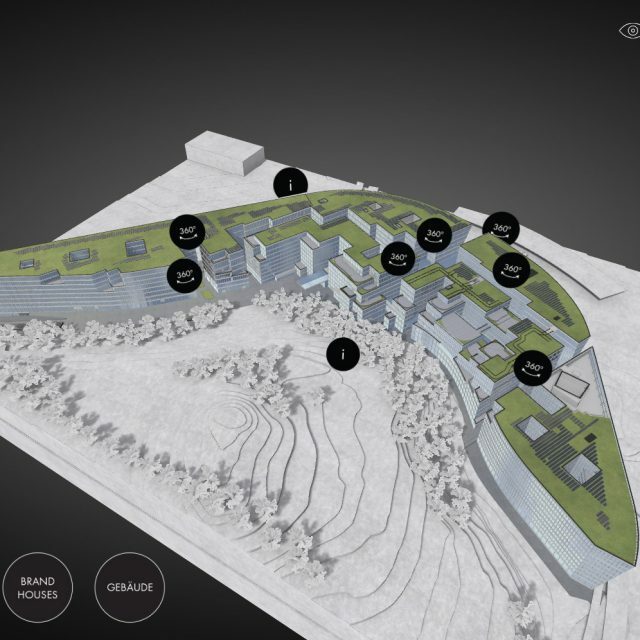 The application offers several points of interest in and around the building, linked together with informational graphics, floor plans or 360° rendering visualizations. 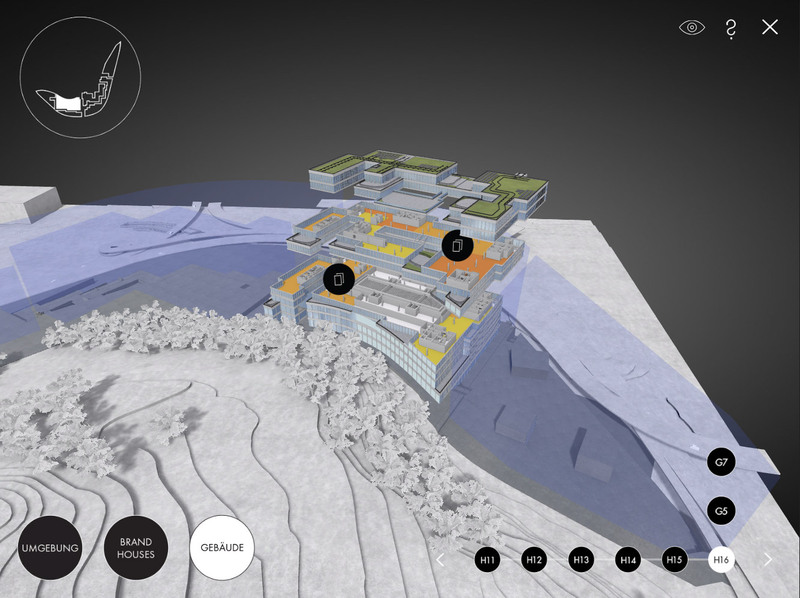 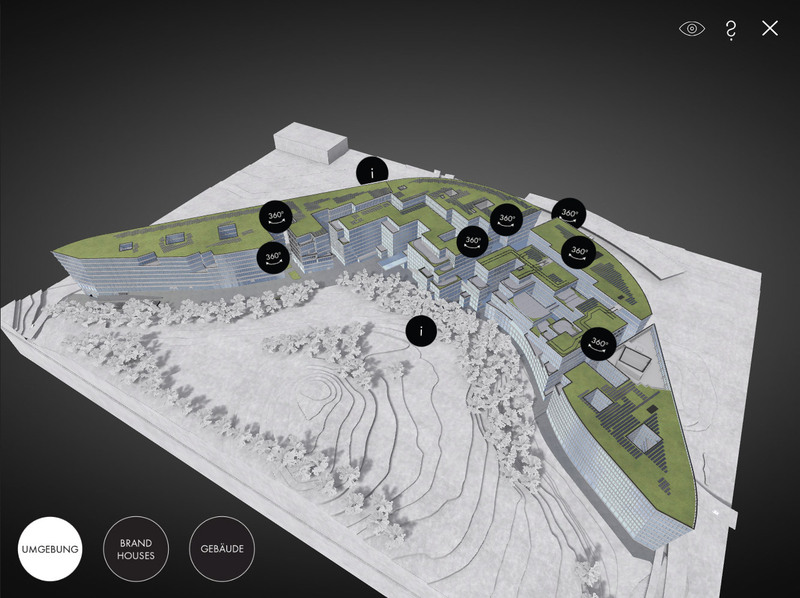 Additionally, several brand houses can be highlighted in the building, which will trigger a 3D rendered visualization video when the button is tapped. 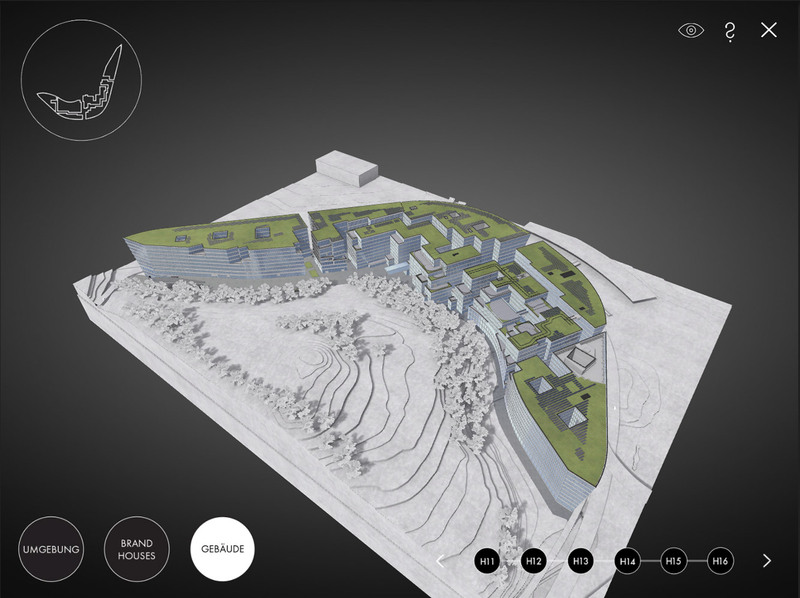 Memory optimization was a challenge since we were integrating a quite large and detailed 3D model, along with many 360° and regular images. 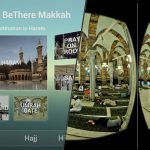 The application has been designed and built for an iPad Air 2, which quickly ran out of memory once all the content was implemented. 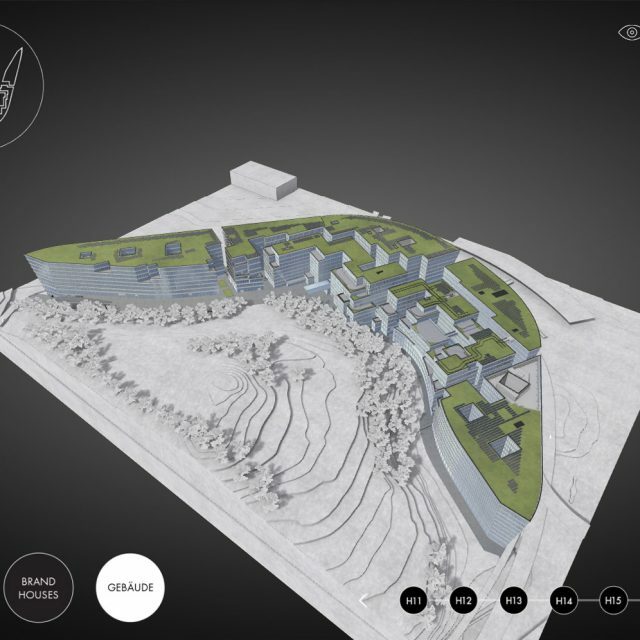 Most of the image material has been sliced up into square sized textures for better compression, and we also had to highly optimize the polygon count of the building model, mostly by removing unnecessary detail or parts, that are never visible in the application.